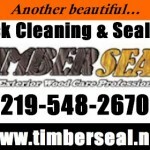 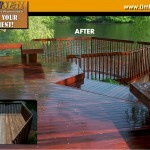 Thank you for your interest in TimberSeal’s Deck Cleaning, Restoration and Sealing Services. 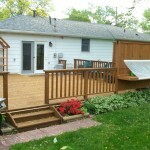 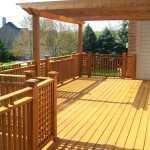 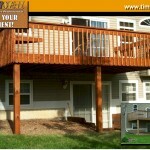 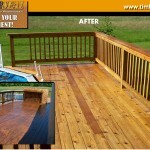 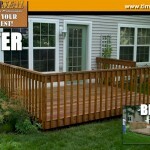 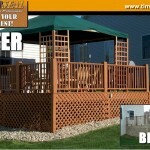 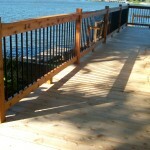 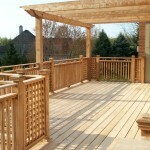 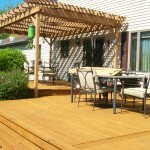 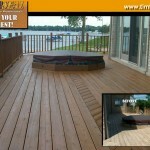 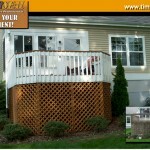 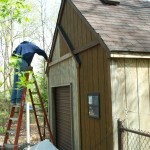 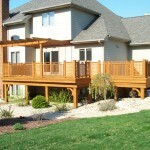 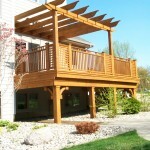 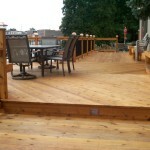 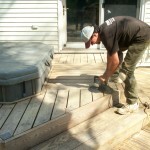 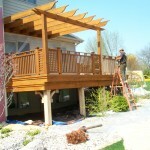 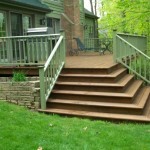 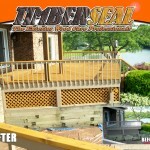 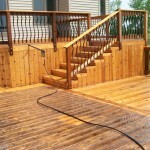 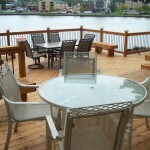 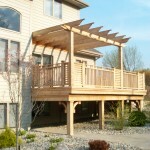 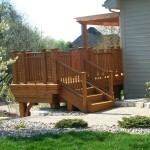 Decks are the bread and butter our our business here at TimberSeal providing service to nearly five hundred each year. 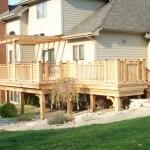 While a deck is a valuable addition to every home it doesn’t come without some necessary maintenance. 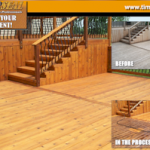 TimberSeal, LLC provides professional cleaning, restoration and sealing services for all decks and docks within the Northwest Indiana and Chicagoland region. 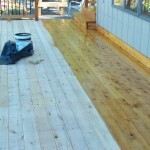 Whether it be new construction or 20 years old and severely neglected TimberSeal technicians have the know how to restore, beautify and protect that deck for years to come. 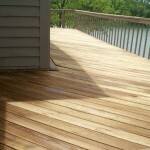 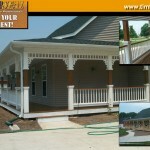 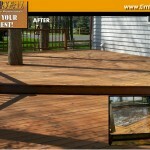 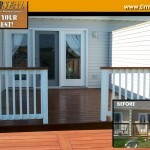 On weathered decks we have a restoration process second to none. 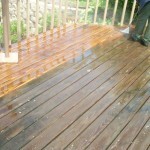 Our very own proprietary cleaning and brightening agents are used to prepare and restore your deck bringing it back to it’s natural appearance. 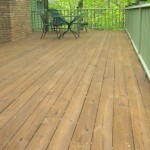 We have literally taken 13 year old decks and made them look like new again. 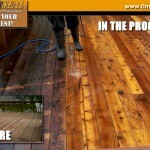 Once complete a 2 to 3 day drying period is needed to allow the moisture in the wood to dissipate. 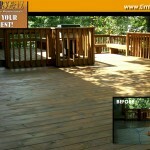 In general your deck should have a moisture content of 16% or less to seal. 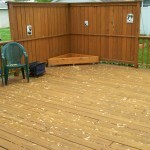 On warm sunny days this can be accomplished in 1 or 2 days. 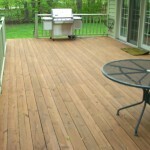 Overcast weather can incur a 2 to 3 day dry period. 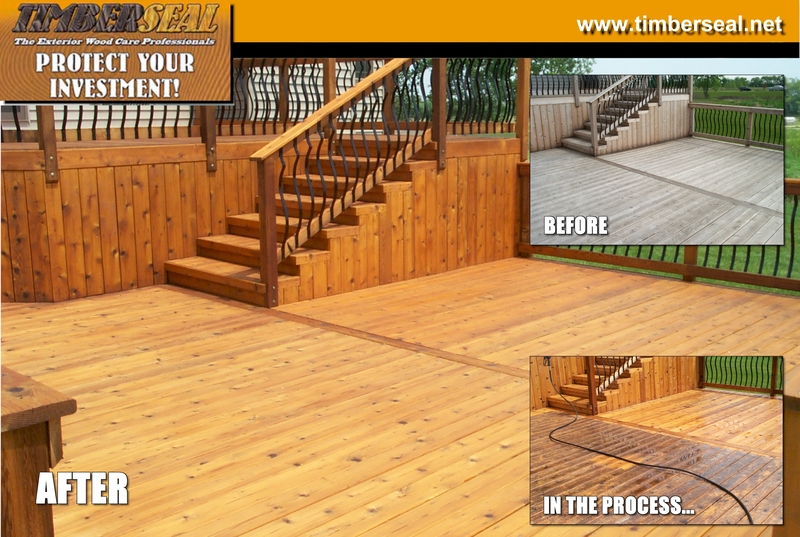 Once dry, our technicians will return to complete the staining and sealing portion of the project using our TimberSeal Pro-UV Penetrating Oil Finish. 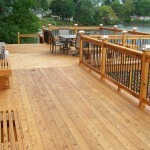 With decks in particular our finish is generally hand applied with a heavy saturation coat being applied to your rails and two coats on the horizontals as they are always exposed to heavier weathering (therefore much more absorbant). 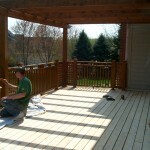 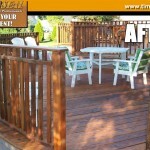 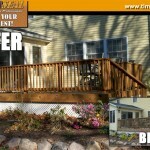 To learn more about our Six Steps to Restoring Your Deck click here.